With the ever-increasing globalisation of human resources, work, and services and its impact on national development goals, the private sector is a necessary negotiating partner within the area of migration and development. Within the framework of the Global Forum on Migration and Development 2013-2014, the Swedish Chair came together with The Hague Process on Refugees and Migration (THP), the International Organisation of Employers (IOE), the World Economic Forum (WEF), the Council for Global Immigration and other contributing partners to deepen and diversify GFMD engagement with targeted business sectors including construction; mining and extractives, recruitment, insurance, financial services, and others. To that end, successful thematic business round table meetings with states and businesses were held in New York, Brussels and Geneva, as well as one-on-one consultations with executives from a number of multinational enterprises. 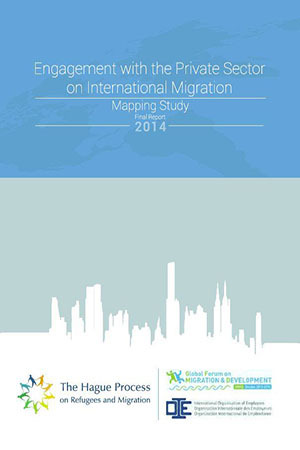 Furthermore, a “mapping study” consisting of a Delphi Process and a two-part survey was undertaken to ascertain not only current business practices, perspectives, and values with respect to global mobility, but also the private sector’s position on the concept of engagement with governments in migration policy making. 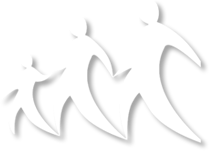 The ultimate goal of the various thematic meetings and the mapping research effort is to continuously discover potential areas of common ground for public-private cooperation in the realm of migration and development while simultaneously building trust and fostering greater engagement with participating industries. This report outlines the methodology, design and outcomes of the mapping study. The preliminary results and outcomes of the mapping study were presented at a meeting held in Geneva in March 2014, for government and business representatives in which participants discussed the findings of the Delphi Process and two-part survey as part of a larger discussion on private sector engagement on international migration. The feedback and recommendations that were given as a result of the presentation and the meeting itself are included in this report. This report is divided into four parts: Part I comprises of an introduction which provides background information on the development of the migration field vis-à-vis the private sector; private sector engagement; and issues of mutual concern. Part II and Part III of this report outline the methodologies, findings and recommendations of the Delphi Process and those of the two-part survey accordingly. Finally, Part IV of this report outlines the recommendations and feedback from the Geneva meeting held in March 2014. This entry was posted in Publications by THP. Bookmark the permalink.